Made using super light but durable 3L Pertex Shield® waterproof fabric, the Flashpoint Pull-On has all the features you would expect from a waterproof, with the benefit of a tiny pack size. At just 130g including its stuffsack, it can be clipped to a harness or bag ensuring you won't notice it until you need it. The features on the Flashpoint Pull-On are designed to keep you dry. 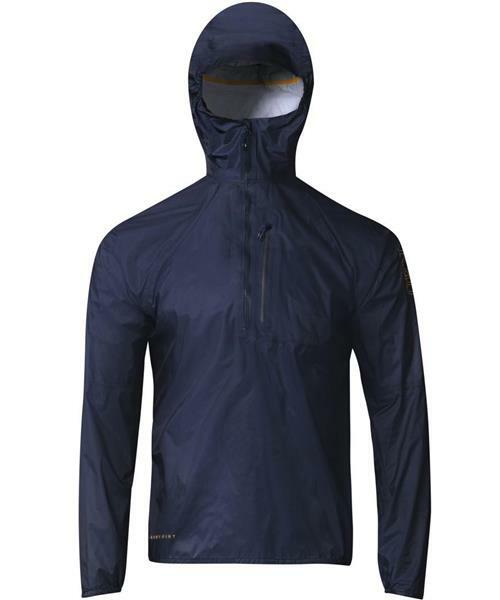 This includes a semi-elasticated hood with stiffened peak and rear volume adjustment, part-elasticated cuffs and hem, YKK® Vislon® AquaGuard® front zip with internal storm flap, and YKK® AquaGuard® zipped chest pocket. This high performance pull-on is ideal for mountain days when you want to keep moving come rain or shine.